Most American Irish bars fall into one of two categories. There’s the “authentic as can be” pub full of dark woods (perhaps even some imported from the Emerald Isle itself), flawless pours of Guinness, traditional Irish food & music and a distinct lack of TVs tuned to sports. On the other, there’s the “bar & grill” which pays homage to its Gaelic heritage while also having one foot firmly planted in the world of American sports bars. Don't worry there’s no need to pick sides as both are great places to raise a pint—especially on St. Patrick’s Day—and the following are some of the best of both varieties in the country. Starting in Alabama, the accolades just keep piling up for Callaghan's. 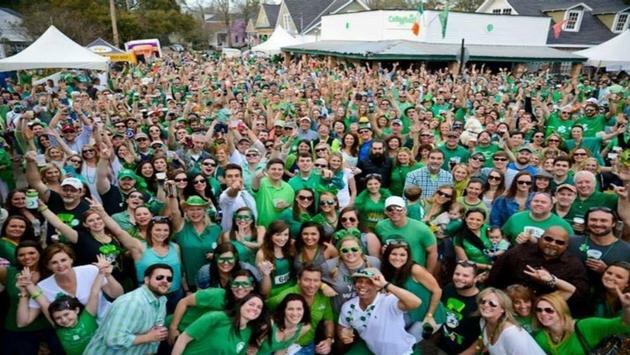 This homey Irish bar in Mobile's historic Oakleigh Garden District neighborhood has won awards for its mouthwatering burgers, live music and much ballyhooed St. Patrick's Day bash.